Today's mission was to work only with numbers and at first all I could think of was those green 1's and 0's scrolling down like in The Matrix. To start, I experimented with my camera walking around the house taking pictures of numbers on things thinking I could make a sort of collage where the numbers could be read as letters, but then I thought I could just do it on the computer! I could use a little practice in digital art anyway. 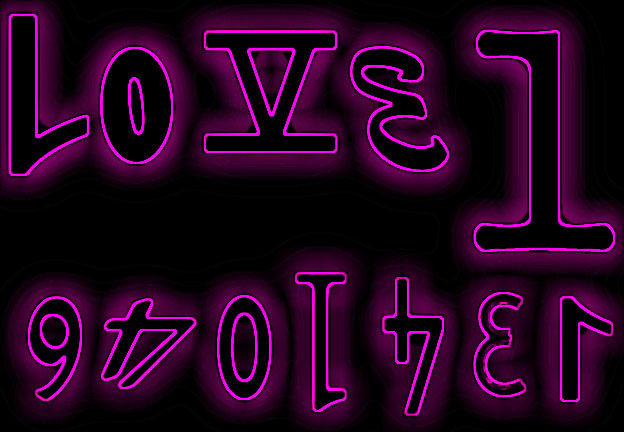 This image was made in an everyday graphics program where I just played around with different fonts. I didn't know where to go after that so I put it into Photoshop Elements and played around with some filters until I got what looks like a neon sign. I find it kind of interesting.